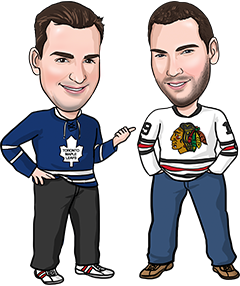 We went a solid 3-1 with our NHL betting picks Tuesday, including an easy win on our Leafs/Lightning Over 5 Best Bet (Tampa won 5-4 in OT). We also won our Avalanche bet as they blanked Chicago, and our Under 5 in New Jersey/Buffalo as the Devils won 2-0. We lost with the Habs as San Jose snapped out of a losing streak with a 3-1 win, but we’ll take a 3-1 night every day of the week. We took the night off yesterday as there were only 2 games (don’t you hate how there’s hardly ever any games on Wednesdays anymore?) but we’re back tonight with a full betting board to pick from. We expect a focused effort from the Blues who have been struggling at home recently, going 2-4 in their last 6 at Scottrade Center. This is a team that is used to dominating on home ice, and they’ll be motivated to correct those recent issues. Preds are struggling, going 4-7-3 in their last 14, including a loss to the Flames Tuesday, and are 2-4-2 in their last 8 road games. Price seems awfully cheap on the Blues when you factor all of that in. Like we said in our recap from Tuesday night’s action, the Sharks snapped a losing streak with a win in Montreal. Often when teams end a losing streak, they start to relax and play to their potential, so getting the Sharks at nearly even odds to win in Toronto is something we can’t pass up. Leafs blew a third-period lead last time out and are riding Sparks in net tonight. He’s been a good story but we can’t pretend he’s a No. 1 goalie quite yet. Neither the Kings or Habs are happy with the way they’ve been playing lately, so we think they’ll be determined to get back to playing the way they do best – defensively. We saw this being billed as a potential Stanley Cup preview, and we can’t disagree. Expect lots of intense, hard-checking play tonight, and not many goals. Last time these teams met, Calgary came back from a 3-0 deficit to beat the Stars 4-3 in a shootout. Dallas will remember that tonight and keep its foot on the gas even if it builds an early lead tonight. Stars are also looking to improve on their latest effort, when they won 5-1 but Lindy Ruff complained about how they didn’t seem focused. Flames are hot lately (lame pun, sorry) but they’re probably without Frolik and they’ve also got most of their recent wins on home ice. Calgary is 4-9-2 on the road, which doesn’t bode well going into Big D.